During your treatment, nitrous oxide will be mixed with oxygen and administered through a small mask that is placed over your nose. The solution is odorless and you will continue breathing as you normally would. Nitrous oxide is an anxiolytic therapy, meaning it will reduce your anxiety levels. It is considered a light form of sedation because it does not put you to sleep, but enables you to reach a state of relaxation that will allow our doctors to perform any necessary treatments more quickly and efficiently. While other forms of sedation may produce an amnesiac quality, if you receive nitrous oxide you will likely remember the entire procedure. Our doctors will control the precise level of nitrous oxide that you are receiving during treatment, adjusting it to accommodate your needs. Nitrous oxide has the added benefit of wearing off quickly after your procedure is complete. In fact, it is the only form of sedation that allows you to return to your normal activities – even work – after your visit. Heavier forms of sedation often require the patient to rest for the remainder of the day and you must arrange for a friend or family member to drive you to and from your appointment. While nitrous oxide is often recommended for nervous patients, it is also useful for those who do not experience elevated levels of fear or worry. 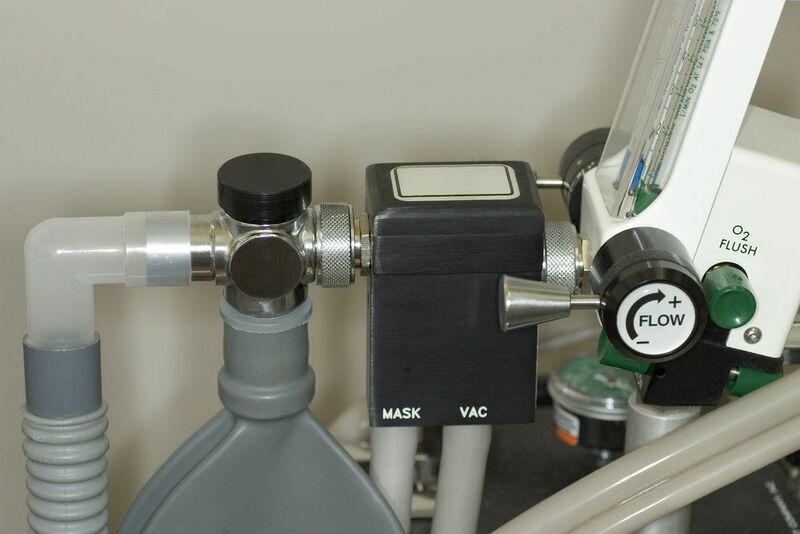 When a patient has a low pain threshold or needs a procedure that will take an extended period of time to complete, nitrous oxide can create a more comfortable experience. We often use nitrous oxide sedation for patients who have medical conditions, such as back or neck pain, that makes it difficult to sit in the dental chair for longer periods. Additionally, patients with an exaggerated gag reflex or very sensitive teeth can benefit from this light form of sedation. If dental phobia has kept you from receiving the care you want and need, learn how you can benefit from nitrous oxide sedation or another sedative option. Please contact our office to schedule a consultation with one of our doctors today.